JNN 23 Mar 2015 ASSAM –A leader of the far-right Hindu nationalist Bharatiya Janata Party (BJP) has triggered a new controversy with his statement that mosques and churches are not religious places, and that they can be demolished any time. “We don’t agree with the statement. Like in other religions, a mosque is a religious place,” All India Muslim Personal Law Board (AIMPLB) general secretary Maulana Nizamuddin told PTI on Sunday, March 15. “In our country there was Islamic rule for 800 years but none of the rulers demolished any mosque. The Muslim leaders’ condemnations followed offensive comments by BJP leader Subramanian Swamy who said that mosques and churches are mere buildings. “A mosque is not a religious place. It is just a building. It can be demolished any time,” Swamy said, the Hindustan Times reported.The BJP leader then went on to claim that all Indian Muslims were Hindus. AIMPLB’s Nizamuddin argued that Saudi rebuilds old mosques in case they suffer decay. “Saudi Arab has its own rule. If Swamy had to follow it, he should implement its rules here. Everyone in the world knows that they cut hands in theft cases and behead persons involved in murder and corruption cases,” he said. A similar condemnation was shared by Maulana Yasoob Abbas of All India Shiite Personal Law Board. “Where there is a mosque, it should be allowed to exist there,” Abbas said. Along with Muslims’ criticism, Swamy’s racist remarks were condemned by his party members who disassociated BJP from the offensive comments. “It has nothing to do with the party. A leader like him should not do like this,” Assam BJP president Siddhartha Bhattacharya was quoted by Two Circles. “We will inform the matter to the central party leadership. He is trying to grab the headlines by this way,” Bhattacharya said immediately after state reacted sharply to Swami’s comment. 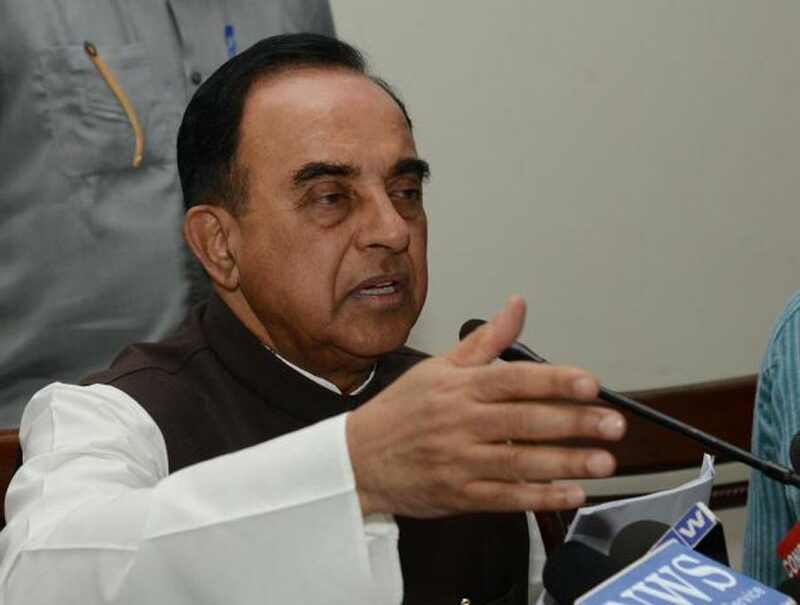 Swamy’s anti-Islam remarks were also slammed by several political parties and students’ bodies, including Krishak Mukti Sangram Samiti (KMSS), Congress, All India United Democratic Front (AIUDF) and Asom Gana Parishad (AGP). “This was not at all expected from somebody like Swami who is quite a senior leader. His statements have hurt the sentiment of the people of the state,” AIUDF chief and Dhubri MP Badruddin Ajmal said. Meanwhile, the National Conference (NC) has called for taking action against the BJP leader. “These anti-Muslim tirades are unacceptable and sternest possible legal action should be taken against Swamy and BJP for hurting the sentiments of Muslims,” NC spokesman Junaid Mattu said in a statement. Muslims in India constitute 14% population of the Hindu-majority country. This entry was posted in Articles and tagged All India Muslim Personal Law Board, Babri Masjid, Bharatiya Janata Party, BJP, Maulana Nizamuddin, Mosque, religious place, Subramanian Swamy. Bookmark the permalink.